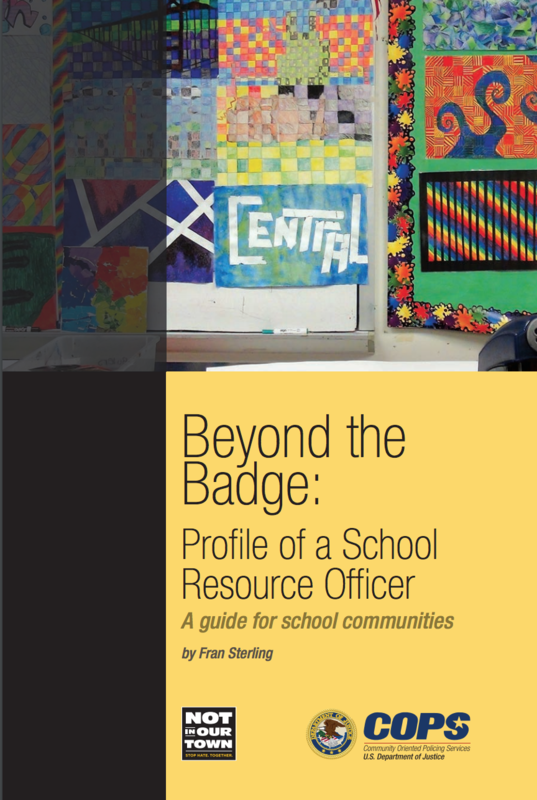 Download the School Communities Guide for Beyond the Badge: Profile of a School Resource Officer. Download the Law Enforcement Guide for Beyond the Badge: Profile of a School Resource Officer. Click here to request a copy from the DOJ COPS office. Click here to request a printed copy from the DOJ COPS office. Video & Activity Guide: What Do You Say to “That’s so gay”? Questions? Email us at info@niot.org.